Which is your favourite of all the Lakes? Cumbria has something for everyone from England's largest lake, to tiny tarns hidden away - gems for walkers to seek out. Just off the A591 running through Windermere is a small sign to Orrest Head. This short walk will give you a wonderful panoramic view of Lake Windermere. Cumbria has many secrets like this, you only need to look just beyond the gift shops and ice cream sellers to see the beauty that is the English Lake District. Majestic Ullswater. Cumbria has many fine lakes, and Ullswater the second largest, certainly doesn't play second fiddle. The setting of Ullswater can quite simply be described as breath-taking. Be spellbound by Derwent Water on a crisp clear morning. At just three miles long Derwent Water just south of Keswick, will change before your eyes, depending on the weather. Coniston Water was the lake we used to sail, on as kids, believing that we were the Swallows and Amazons. Surely one of the most photographed lakes in Cumbria. Grasmere has inspired poets and artists for years and it is easy to see why. Do you love it or hate it? Wast Water sends chills down my spine but is one of my husband's favourite lakes! 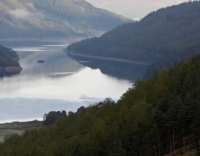 Enjoy the beauty of Bassenthwaite and watch the Osprey fish. Often missed as motorists whizz by up to Keswick and Penrith. 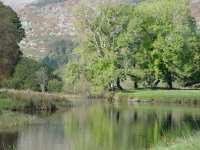 This tranquil lake lies just south of Grasmere and a favourite with Wordsworth. The perfect spot for picnics. Buttermere may not be one of the Cumbria's largest lakes but it is certainly one of the prettiest. The vikings called this tiny lake Swan Lake (Old Norse) and without the crowds of tourists, it is still enjoyed as a bird haven today. Every now and then in times of drought, it is possible to spot the remnants of Mardale village which was demolished to make this Reservoir. 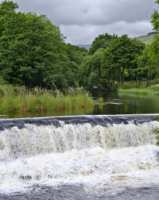 Scale Force, the heighest waterfall in the Lakes feeds into this National Trust owned Lake. Visiting west Cumbria? 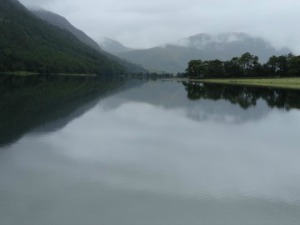 Ennerdale Water will leave you spellbound. Many visitors miss Esthwaite as they rush to Hawkshead, but for those who know Esthwaite is a great way to get away from it all with a spot of fishing. Rather somberly takes its name from two boys who drowned here in the 19th Century. Brothers Water is owned by the National Trust and as no boats are allowed here, the lake is a wonderful mass of water lillies during the summer months. Traditional Cumbrian sports take place here each year at the Loweswater show. Rowing boats available for hire from the National Trust. Limited parking facilities make Kentmere one of the less visited lakes. The walk up the valley to the reservoir makes a great family outing, and we are still talking about the time that we saw a farmer carrying a sheep all the way back down on his shoulders, as it refused to follow the rest of the flock!